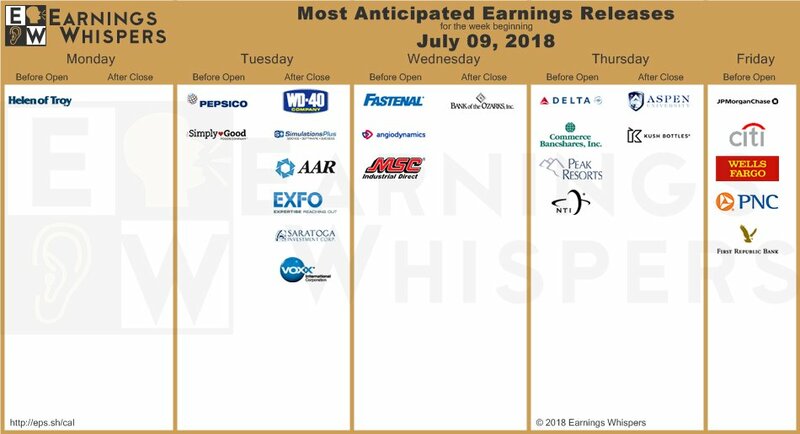 Earnings Seasons Kicks Off Next Week. What I consider one of the most important earnings seasons in a long time kicks off next week. Here are the major companies reporting earnings. Prepsico will report. I will be watching this one, but will not be doing any trade. Delta will give us some insights into how the airlines are doing. MEMBERS: Expect a trade on AAL going into DAL earnings. It’s all about the banks as Citi, JPMorgan, and Wells Fargo report. With the yield curve below 30 basis points it will be interesting to see what they have to say. Keep in mind the last earnings from banks was a “sell the news” event. MEMBERS: We will be doing a trade on Citi before earnings. The last C trade we did before earnings was nearly a 100% win in a few days. For those that have ThinkOrSwim I will be posting a free indicator in the private twitter feed. This is a killer indicator for earnings plays. A similar version is being sold for over $300. crazy how these guys rip you off.